Well, what have we here? In the sea of me-too ultraportables, it looks as if Lenovo is doing its darnedest to mix things up with a somewhat unorthodox screen size. The leaked IdeaPad U260 hasn't been confirmed by the mother company, but word on the street has it rocking a 12.5-inch display, 0.71-inch thickness and a total weight of just 3.04 pounds. Naturally, it's living life sans an optical drive, and we're told that it'll ship with an Ultra Low Voltage Core i3 or Core i5 CPU. There's no ExpressCard slot, but you will spot a four-cell battery, Bluetooth 2.1, VGA / HDMI outputs, WiFi, 4GB of memory, a 320GB hard drive and a couple of semi-vivacious color options (Mocha Brown and Clementine Orange). Mum's the word on a price, but you can catch one more glimpse of the heretofore unannounced rig just after the break. Update: Ah, ha! 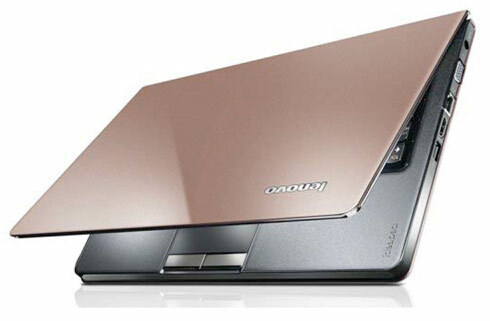 Looks as if Lenovo has confirmed this one after all in a new PDF of its IdeaPad lineup. Still awaiting a product portal for purchasing, though. Thanks, Curtis!